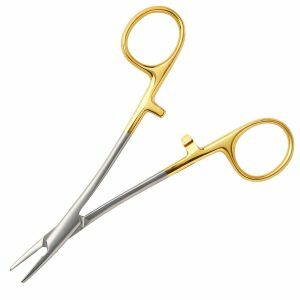 Kilner Needle Holder is designed for use with delicate suturing needles for closing wounds, and is more often used in plastic surgery procedures. Like similar instruments, it has a serrated tip for gripping. Unlike the Crile or the Mayo, this product is “S” curved for specific procedures.